I’m starting up a weekly podcast on my Bandcamp page! Every week I aim to discuss an aspect of Druidry and Paganism, which will be available to download or stream through the site. To listen to all the podcasts you will need to be a subscriber, though I will offer one podcast a month for free. By being a subscriber, you will also have full access to the entire back catalogue, including the audio version of bestselling book, The Awen Alone: Walking the Path of the Solitary Druid. Subscribe now to my Bandcamp page, for weekly podcasts, audiobooks, meditations, music, talks and more. Until January, this will only be £10 for a yearly subscription (a year from the date you joined). After that, the price will be going up, so subscribe now for the best deal! The energy of the ritual still hung in the air, shimmering in the light of the Beltane full moon. I was alone in the garden, tidying up the lanterns and getting ready to put the fire to bed. As I walked down the garden steps, my offering of milk and honey in my hands, I made my way across the lawn to where the altar and offering place lay beneath the canopy of an old beech, its leaves just beginning to bud. I said a quick prayer as I entered that sacred space, with nine small stones delineating the boundary of this “faerie circle”, a minilithic stone circle that I built last year. As I walked into the circle, I felt the air thick with the magic of the evening. I knew something was about to happen. I laid the food and drink upon the altar, and gave my thanks to the spirits of place, and to the Good Folk. No sooner had the words left my mouth, than a rustling in the hedge all around me began, as if some strange wind was shaking just the coniferous boundary of my garden, or a small army of badgers were all coming through the little holes in the hedge at the same time. My heart pounded in my chest as the moon shone through the branches of the beech above me. Frozen in place, excited and both frightened to see what happened next, I tried to see into the darkness of the hedge, shadowed from the moon’s light, but I could perceive nothing but the inky blackness. The rustling all around me stopped, and I found I was able to move. I knew that something had come through the hole in the hedge, but I could not see it. Slowly I walked towards the firepit, hoping to see what had come through by the light of the fire. I cautiously approached the dying flames, and peered into the shadows about ten feet away. I could see very little, but I felt a presence, someone – male – standing by the birdfeeder and the hole in the hedge, standing shoulder-height to me, dressed in shades of brown. Suddenly, even as I looked and felt his presence, he moved without a sound like a dark shadow in the blink of an eye back into the hedge, and there from the depths of the green and black two eyes shone a whitish/green, reflecting the light of the fire. Whatever that being was, he had changed into the form of a badger in the blink of an eye, to watch me from the depths of the back hedgerow. “Beltane blessings,” I murmured. Unsure of what to do next and still very much afraid and alone, I curtseyed and then covered the firepit with its iron mesh guard, walking back slowly towards the house. I had wanted to ask for his friendship, and for that of all the Good Folk, but my courage failed me on that night of the full moon, as the powers of Beltane and the Otherwold flowed through the land. I only hope that he will return, and soon. Reblogged from my channel, Druid Heart, at Witches and Pagans. Altars can have a very significant role in daily practice and worship, providing a focal point in establishing relationship. I try to highlight this importance with my students, explaining the benefits of have a focus within an area in which to open up communication with the spirits of place (or land, sea and sky), the ancestors, and the gods. Communication is essential to good relationship, and finding a spot to come back to again and again helps us to not only strengthen the bond between the person and the place, but also gives it a ritual context within which to commune. Often this ritual context is held within a temple, whether it is a building or creation of stone and/or timber, or a sacred circle cast with energy around the practitioner. The importance of the altar and the temple should not be taken for granted, though neither are exactly essential. Sacrifice – it’s one of those “old” words, like honour and duty. Many who have read Roman accounts of the Druids associate the word, sacrifice, with the priest caste of the Celtic people at that particular time. However, the word goes even further back into the beginnings of time for the human animal, when the importance of relationship with nature was everything, when we knew that to disconnect ourselves from the natural world meant death. Today, we must remember this, remember each and every day how much we are a part of the world, how much our everyday actions count, no matter how small. Each day is also an opportunity to give thanks for the blessings that we have. At Lammas, however, just giving thanks doesn’t seem quite enough. When the first crop is harvested, and the land lies stark and naked, shaved and shorn from under the combine harvester, giving thanks and saying words over the field doesn’t feel adequate. This, for me, is where sacrifice comes into play. It’s hard as the line keeps shifting between giving thanks and the notion of sacrifice. What might be an offering to one person might be seen as a sacrifice to another. I can only speak from my own personal viewpoint, as I may value things differently from my neighbours, my family, and members of my pagan community. So, what is the difference between an offering and a sacrifice? For me, sacrifice is something of significant value. This is not necessarily a monetary value, but could be something that is cherished, prized, something that is utterly loved and which has a representative value of the threads of connection we hold with the gods, the ancestors, the spirits of place. What is it that I have which I value? What am I willing to give back in return for the flow of awen, that spark where soul touches soul and is inspired? What am I willing to do to achieve that? When the barley in the field by my house is cut, the energy of the land drastically changes. Between the homes and the heathland there are two arable fields, one which was harvested in the spring for green barley, and one which still has the golden, bowed stalks waiting to be harvested. Acknowledging the change isn’t enough, for when we hear the songs of the ancestors, I feel how important these crops were for them, how important their relationship with the land meant their survival and success. In a field of growing barley, there is potential, a shimmering energy waiting to be harvested. When that field is cut, the potential can be scattered if the land is not honoured. The ancestors knew this, but we have forgotten. Modern farming depletes the soil of essential nutrients that must be replaced, often by less-than-natural means. 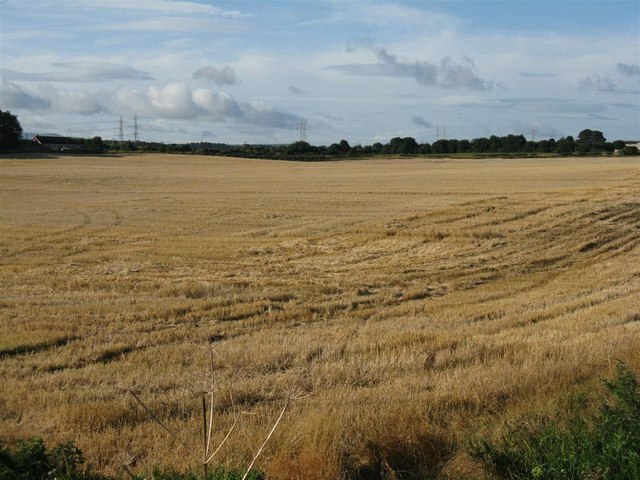 The barley is cut, and the field then stands, barren and forgotten for weeks, until the farmer and his tractor are ready to plough in the winter or spring crops. The land isn’t respected, isn’t acknowledged anymore. As an animist, I find this appalling. When the land has been used, has given us so much in a beautiful field of barley, and we don’t even give thanks, much less sacrifice then there is dishonour. As with any relationship, if one side continually gives and gives, and the other continually takes and takes, the balance will shift, the relationship will crumble and great suffering will ensue. What can I give that will honour the lives that this crop will feed, that will honour the land that grew it, that will honour the ancestors that worked it, that will honour the spirits of place who live there? What will be a significant gift for all we have received? The sacrifice will change year upon year. What matters most is the importance of the sacrifice to me personally. Offerings represent a more daily interaction, little gifts and niceties that you would present to any friend that you meet: a cup of tea, a biscuit, some of the fresh-baked bread you just made, or your home-brew mead. Finding out what the local spirits of place would like is as polite as asking your guest how she would like her tea: with or without milk, honey or sugar? When it comes to sacrifice, however, the shift of focus changes to become more introverted rather than extroverted. I’ve previously in earlier articles described sacrifice as something that is not only of great value, but also as something that can help you “get to the next level”, so to speak. No, we’re not playing at Druids on World of Warcraft, but we are seeking to deepen our relationship with the land. Sacrifice is key in this regard, helping us to go deeper, to give more of ourselves in order to understand more of the land. Many within the Pagan traditions see the Sun King as offering himself as sacrifice at this time of year, to be cut down as the grain is cut, to be reborn at Yule. Yet are we comfortable allowing the Sun King to do this each and every year, or should we also take our part in the sacrifice, participating rather than simply watching the cycles of life unfold? And so I will spend the next few weeks walking the land, finding out what I can give, what I can do to deepen my relationship with it, to be an active contributor instead of a passive spectator. Some aspect of my self must be willing to die alongside John Barleycorn in order to understand the cycles of nature. Some sacrifice must be made. In the days of the ancient Celts, a devotee might have honored the gods of her people with a votive object — a torc, a piece of intricately-wrought jewelry, a small statue of a god or goddess, a bent silver coin — given in offering to the clear-running waters of a river or wellspring, or deposited in the murky waters of a marsh at a dedicated sacred site. In the same way, a warrior might have offered up his sword or shield, ritually broken to render it useless or perhaps forged specially to be a sacrifice, never to be used in battle.